By 8 am, Kalendri Bhoi in Kalahandi, Odisha, has finished her chores, whipped up breakfast on the reduced-smoke cook-stove she bought with a Milaap loan, and sent her kids to school. She then leaves for office, working as a collection agent. She also helps her husband, a farmer, in their fields, carrying her cook-stove along to cook lunch. Earlier, she was stuck cooking all day at home over a traditional firewood stove. Now she has this boundless energy because her new cook-stove doesn’t make her ill with smoke, reduces her cooking time by 1.5 hours per meal, and minimizes her fuel expenses. Elsewhere in Rayagada, Odisha, Bilei Behera gladly cooks for her family after sunset by the light of her solar lantern, purchased with a Milaap loan. Her home has no access to the power grid, so her family of six relies on the solar light to study and work after dark. Earlier, they used kerosene lamps – the fuel expensive and its fumes toxic. So many women like Kalendri and Bilei, in hope of a healthy life, are waiting to make this switch to clean inexpensive energy. 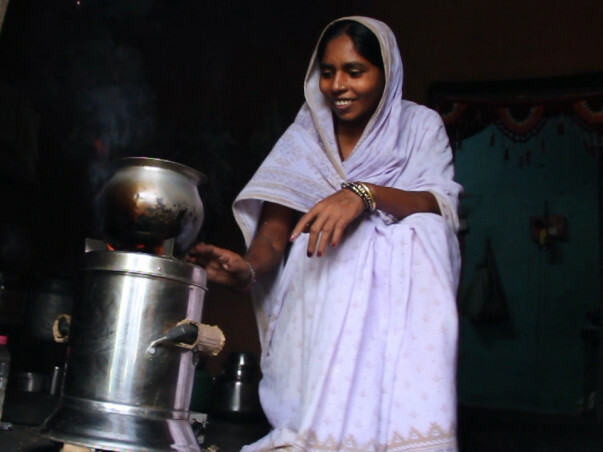 Mahashakti Foundation, our field-partner, provides women from developing areas in Odisha with affordable ecofriendly low-smoke cook-stoves and solar light. Milaap lenders help these women pay the cost upfront. 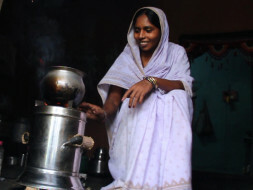 The low-smoke cook-stoves help minimize smoke-induced illnesses in women, free up time to let the women work and earn more, and reduce expenses on firewood. Similarly, in households relying on kerosene lamps in the absence of electricity, solar lanterns help prevent illnesses caused by kerosene fumes, allow people to work and earn after sunset, and save their fuel expenses.